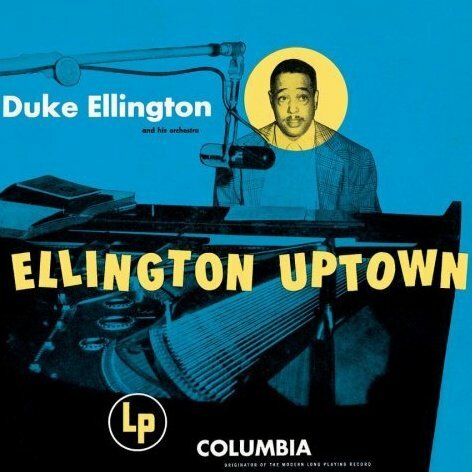 The title Ellington Uptown evokes style and class. The Duke had both to spare. This album has a confusing string of re-issues with different tracks and artwork. 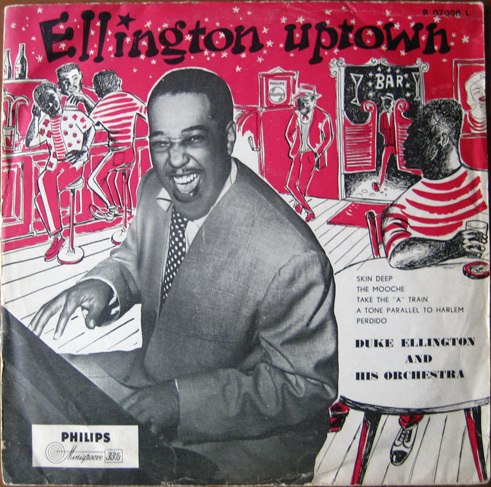 The first cover with Duke in the spotlight dates from the LP’s original American release in 1951. Try as I might I couldn’t unearth a date for the second cover although my hunch is that it’s a European and/or UK release of about the same vintage but it’s a guess. That’s *my* mood indigo, apparently.